My first visit to the Lido was for a black coffee in the middle of winter. The winding route to the quiet and shadowy Oakfield Place was confusing enough to make me late when I tried to follow it for my second visit last Autumn. The first visit was beautiful but quiet, cold and moody and didn’t inspire much in the way of a friendly return. The second was a birthday treat of a massage and spa treatment last November and the sunny atmosphere could not have been more welcoming. The third was this past weekend and an unplanned lunchtime coffee meet up turned into a sunny Mediterranean style tapas lunch outside by the pool. The plan was a to meet up for coffee with Nigel and the housemate but the setting and prices were too perfect to ignore. I was also very hungry after having been to the gym that morning so there wasn’t really much choice. The blackboard outside highlighted a list of dishes for either £3 each or four for £9.50. 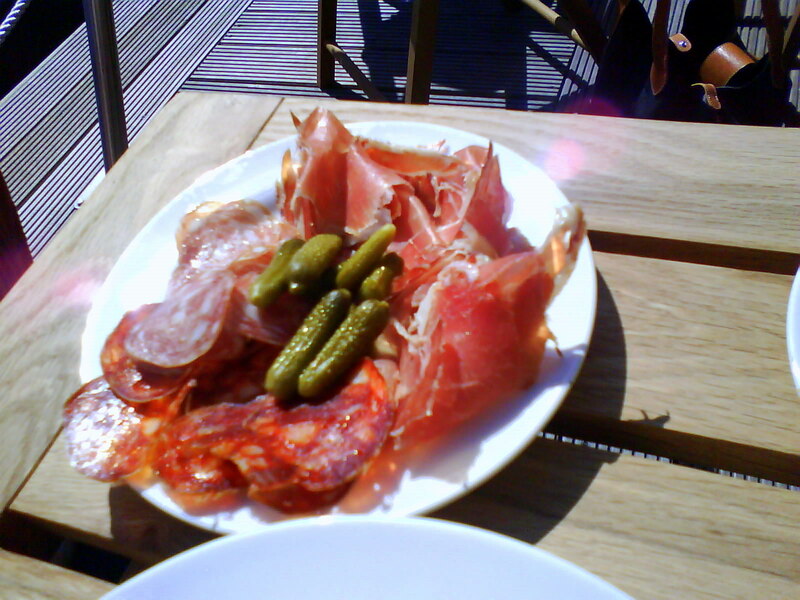 Our choices were humous, babaganoush, pickled white anchovies, olives, manchego cheese with quince jelly, tortilla a plate of charcuterie, and bread with oil. The pool had about 10 people in it, swimming their gentle laps in the 1.2m deep water. The restaurant was busy upstairs and downstairs and while the service was pleasant and friendly it was also slightly forgetful. The first order of drinks arrived with Nigel’s house red wine, not offensive but nothing special, housemate’s pint of No 7 beer (not bad) and my glass of ice with lemon. They had forgotten my sparkling water. They then forgot our olives and the oil never arrived with the bread, even after we asked for it again. Ah well, it wasn’t the kind of day where much mattered so we let it all go. The humous was flavoursome and creamy, the babaganoush was tasty and soft although it leaned towards tasteless rather than fresh. 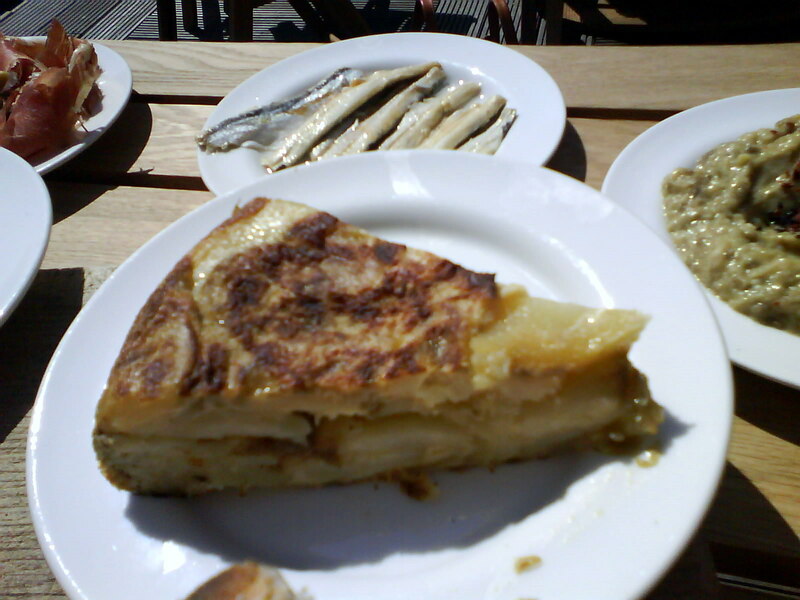 The tortilla was very well cooked although the eggs were still slightly liquidy and sweet from the mix with the onions. The air dried meats with the added cornichons were very tasty, as were the white anchovies with their slightly sour vinaigrette. All the dishes were accompanied by the rustic and, slightly floured chunky bread although perhaps there could have been a little more. I’m surprised the bread had to be ordered separately however because how would we have eaten the dips without it? We also didn’t have plates and had to use our napkins. Still, it worked well enough and the price was £23 for everything. 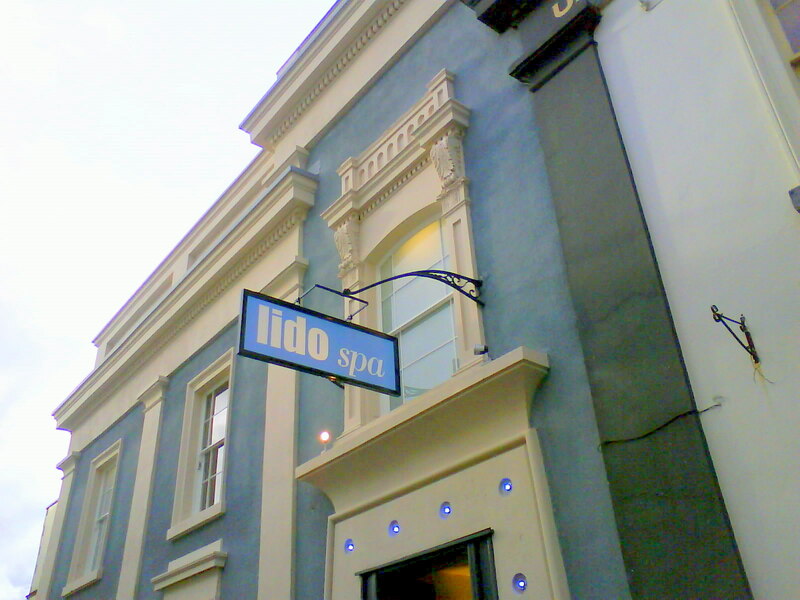 The trip to the Lido became a lovely little outing by the water. The food was tasty and it all felt perfectly seasonal. So far I’ve visited in autumn, winter and spring and am not sure what’s in store for summer but it may include a dip in the pool. 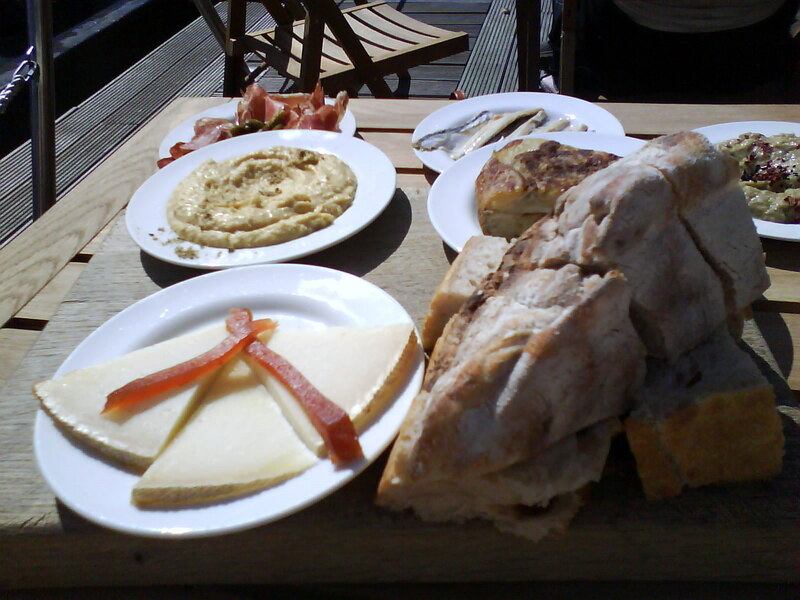 This entry was posted in Bristol, Food and tagged Bristol, Clifton, Food, Lido, review, spa, swimming, tapas, tortilla, treatments. Bookmark the permalink.